What landscape and project(s) are being drawn up for circus and street arts? In Morocco, cultural actors are currently deepening the relations between artistic creation and territories at a local, regional and international scale. 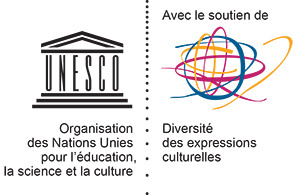 Since the first General Assembly for Culture in 2014, the landscape of circus and street arts has changed significantly and has seen new companies, new projects emerged, as well as the creation of a Moroccan street arts federation and the development of international cooperation projects. While the twelve Moroccan regions are elaborating their Regional Development Plans (RDP), how do artists and cultural operators take up the artistic issues related to territories and how do they contribute to their local development? This second KAHWA meeting takes place in the context of a cycle of annual meetings initiated by Circostrada – European Network for Circus and Street Arts (coordinated by ARTCENA – French national centre for circus, street arts and theatre) with the aim of strengthening, nurturing and developing professional and artistic collaborations between Europe and the countries of the Southern Mediterranean Area. 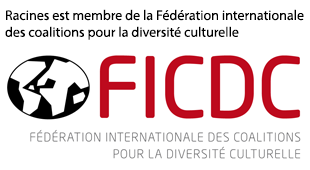 After Tunis in October 2017, Circostrada, in partnership with Racines – network member – are joining forces to organise and moderate a key moment of exchanges and discussion on issues linked to international cooperation and the development of circus and street arts in Morocco. This KAHWA meeting will take place on November 8th in Tiznit, within the framework of the third edition of the General Assembly for Culture and will be open to all circus artists and professionals working in the public space. Prior to this meeting, a documentary record will be put together by the partners in order to map the venues, actors and cultural projects in Morocco. This record will be supplemented with contents of the KAHWA meeting and will be released online following the General Assembly in Tiznit. Since 2003, Circostrada Network has been working to develop and structure the fields of circus and street arts in Europe and beyond. With more than 100 members from over 30 countries, it helps building a sustainable future for these sectors by empowering cultural players through activities in observation and research, professional exchanges, advocacy, capacity-building and information.